I’ve been running social media campaigns non-stop now for almost five years. The things that have happened to me and my clients have been weird, wonderful, and amazing. They could fill a book… in fact, they are – and you can buy it one day. What’s the Return On Investment (ROI) for that? Can a tweet help me sell my stuff? How much money can I make from social media? 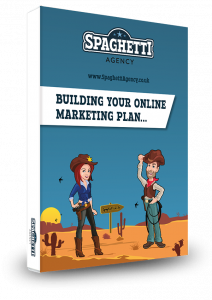 I’ve blogged before about social media ROI. The thing is – I don’t think you can truly measure it… but that’s OK.
It’s OK because if you could, then you’d be trying to get specific things from it. 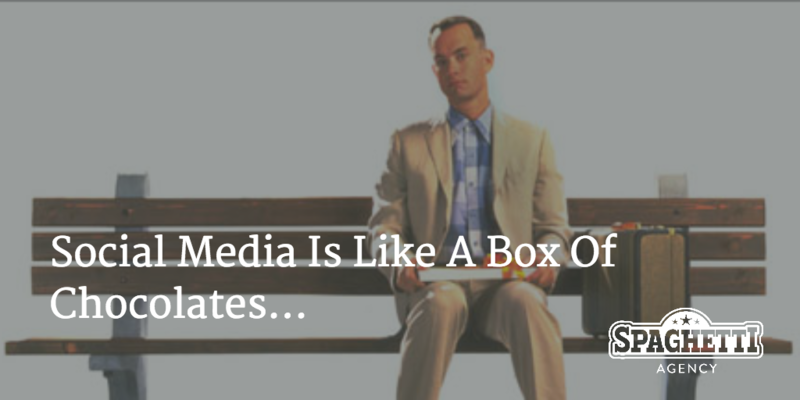 But social media is like a box of chocolates – you never know what you’re gonna get! That’s not a bad thing, you know. In life it’s all to easy to think you’ve got it nailed. It’s very simple to kid yourself into thinking that you know what your business needs and keep your mind and eyes closed. It tweets, posts, comments, retweets, re-pins, favourites, likes, +1s and double taps. Social media gets me and my clients into all sorts of conversations that we didn’t plan to get into. That’s good because it’s out of the box and it’s not something from our point of view or our closed mind. I have Autism. I see the world slightly differently from most people. I hang around with quite a few people who are on the Autism Spectrum too! We see stuff you don’t, and you see stuff that we don’t. Different points of view and looking at things – including your business – differently are a good thing. I met Jo on Twitter over four years ago. We worked on community projects together (started by Twitter, Facebook and blogging). We never intended to make those community projects happen. We never intended to meet. And we certainly never intended to fall in love… it just kinda happened! 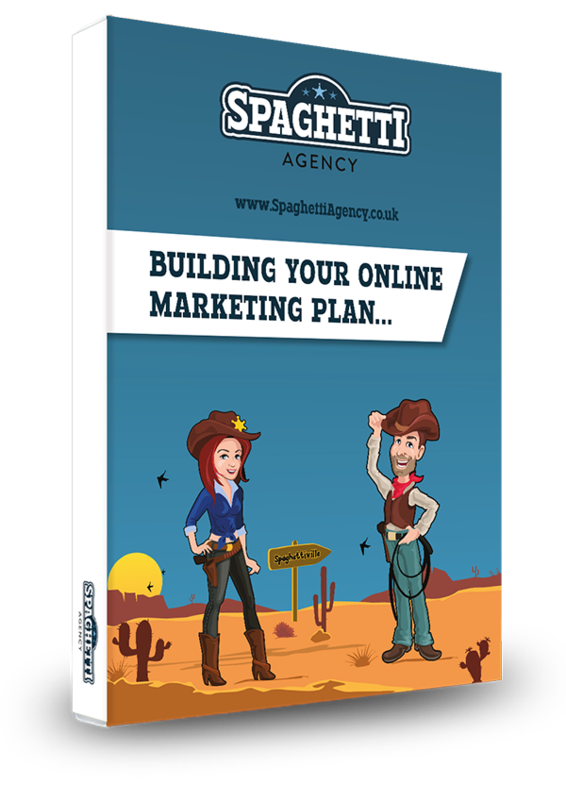 Social media opens up the avenues to new things and Spaghetti Agency, this very blog and everything you’re reading now, is a result of social media and the amazing opportunities that you get when you have faith that it works. Blind faith: a business lesson too far? Blind faith shouldn’t be something that you employ all the time in your business, right? You should plan! And I’m not for one moment suggesting that you don’t. We plan strategies within social media for our clients. But… you have to have faith in social media, blind faith, because it’s not always obvious why it works for your business. The best things I’ve had from social media, the really cool things, the fun things, the money-making things, have been from totally out-of-the-blue conversations, connections and interactions with people online. Track, measure, and make sure you keep an eye on the prize… but don’t just focus on ROI and money… social media is way more than that. Social media has changed my life and created my business… I didn’t plan for that but I wouldn’t change it, either! Ha, the ‘a’ appeared in front of my very eyes! Great post & very true. One of the most exciting parts about social media is not knowing where those conversations, comments or connections will lead. It’s not all about pie graphs and investments. Social media has been so much more for our business. We met all our team through it and we found events, networking and companies to work with that have made us stronger. Hmm, jury’s out on that one! Thank goodness for post-publishing editing. Good old WordPress.